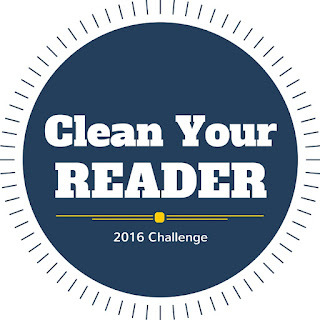 Come one, come all, to the 2016 Clean Your Reader Challenge. Tell us how many books you're going to try to knock out on your reader of choice--and, if you're the list-making type, what books those might be? If you care to join in, link up below. I'll post some regular check-ins throughout the three-month period, and then a culmination post sometime in April for those who will blog about their adventures, but no pressure to do so if that's not your style. If there enough people participating, I'll try to pull together some kind of prize at the end of the quarter (which, whatever it may be, will be available internationally). Questions? You know where to find me. I hope you'll join in!